This is HRP's new nose wing design, which has recessed bracket mounts for mounting the wing off the sideboards or in the center of the wing. It’s available with two different foils – a 1" or 2" dish – and has large, Outlaw-style sideboards available in either a straight or 60-degree angle shape. Can be used on the front of any sprint car. 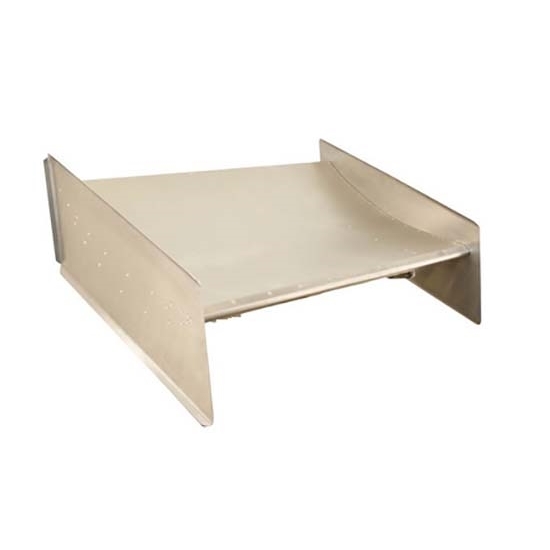 Nose wing measures 23.75" x 36"
Sideboards measure 12" x 25"
You install the sideboards, but all holes are drilled and rivets supplied for easy assembly.